THERE'S NO PARTY WITHOUT ARTY. 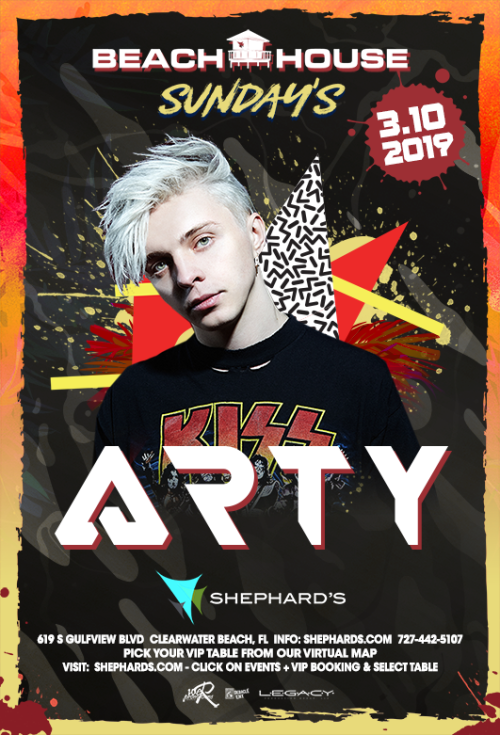 Finding that perfect sweet spot between house and trance, Arty's formidable sound is one of dance music's most recognizable and sought-after. He began sending demos to labels in 2009, and landed his first release on the UK's Enhanced Progressive that same year. The quality of his productions belied his inexperience, and his prodigious talent rapidly became in high demand throughout the industry. Above & Beyond snapped up 'Rush' in 2010 for his first release on their acclaimed Anjunabeats label, with Axwell's Axtone releasing 'Trio' alongside Matisse & Sadko in 2011. In just two years, he had landed releases on his two favourite labels, setting the tone for his impressive rise through the scene. He has since released huge tracks on the likes of Armind, Spinnin', Big Beat, Ministry of Sound and Insomniac, crafting immensely popular remixes for OneRepublic, London Grammar, Above & Beyond, Halsey, Porter Robinson and Years & Years along the way. Moving to Los Angeles in 2012, he signed with Interscope Records – releasing his biggest track 'Up All Night' as his first venture with them and racking up over 20m plays online in the process. 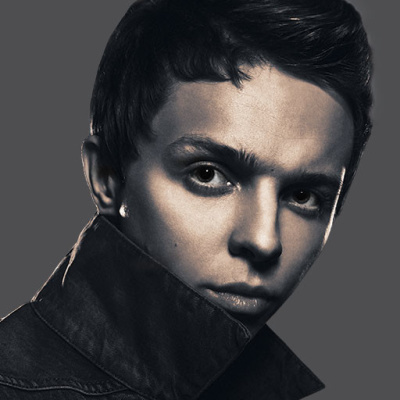 It's his 2015 debut album 'Glorious' that has really marked him out as an artist with vast potential and ambition, mixing his trademark big room anthems with stunning downtempo electronica, nods to classic trance, French electro and superb songwriting courtesy of some of the industry's most acclaimed names. Lead singles 'Stronger' and 'Glorious' both showed his impressive ability to translate the euphoria of his club-focused productions to a pop/radio format, and the album has gone even further to demonstrate his sophistication. Praise for his first long-player has come from everyone from Your EDM to Complex. His DJ career began at the age of 21, with his first major gig coming 2011 alongside Armin Van Buuren as part of his A State Of Trance Episode 500 tour at the expansive Brabanthallen in Amsterdam. Since then, he's played everywhere that's anywhere – laying waste to the likes of EDC, Tomorrowland, Ushuaïa, XS Encore Las Vegas, Amnesia Ibiza and Creamfields to name just a few. He also mixed BBC Radio 1's prestigious Essential Mix in 2012, commonly referred to as the world's biggest mix show. Taking a more eclectic approach to his sound than some of his peers, his sets mix up house, trance, progressive and electro into one scintillating blend.